The second sleeve is almost complete, though we had a small disaster last night: the screw that connects cable to needle snapped on my Bamboo Sister Set last night. I had forgotten to pair the increases and only discovered my error when getting ready to do the next set, nine rows later. Not a big deal, since there are only 44 stitches OTN at this point, and I know how to weave in a needle back where I need to be and frog safely. But clearly, I shouldn't have used the "slack" of the needles the project is ON. Lesson learned: use a tapestry needle and that piece of dental floss that floats around your tool kit, post-Clapotis disaster. Luckily, I have another size 9 needle (bamboo circular), probably purchased before the Sister Set entered my life, so I could regroup and continue. Not sure what to do about the Sister Set. Peter seems quite upset, since he purchased it for me way back when. But it may have lived out its useful life to some extent. I'm not a very tight knitter, but I have snagged up the tips some - to the point where I had to file one down a bit with an emery board (also kept in my handy tool kit). I really like the compact nature and flexibility of the SS, as well as that the needles are bamboo, but I may need to explore new options. I love my Bryspuns but really prefer a set. 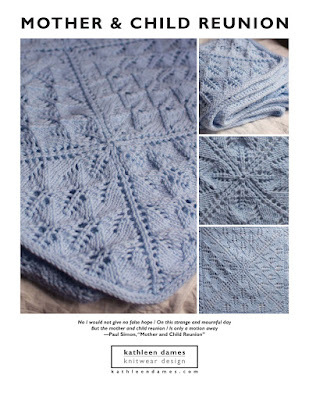 I might have to check out the Knitpicks Options set, though I'm not a huge fan of metal needles. Word is they are more satiny than Addi Turbos. Oh, so I'm about halfway through the sleeve. And the shoulders are three-needle bound off. And the one sleeve is sewn up. All I need to do is finish this sleeve, seam it up, seam up the sides, and set in the sleeves. Oh, wait, that's more than I thought. But I'm so excited, since I cast on for this sweater just over a week ago.